The architecture can be mundane, and it can be outstanding. 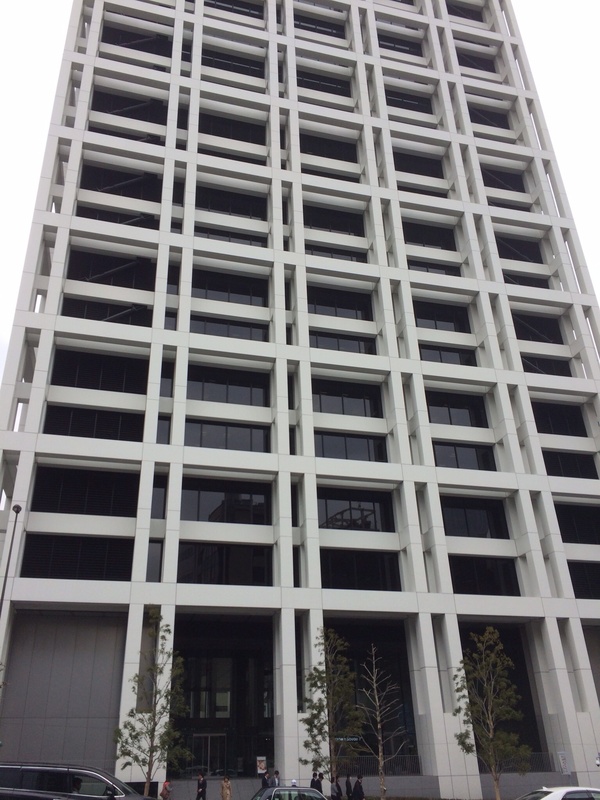 Was the wedge building inspired by a meat cleaver or knife blade? 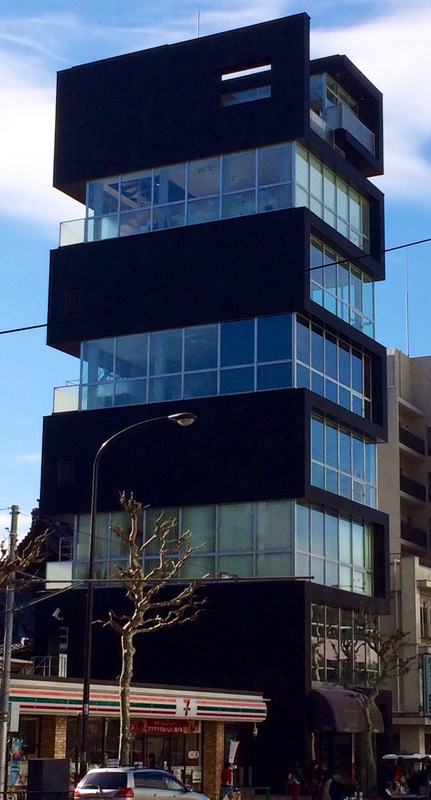 Was this one inspired by Jenga, or pre-fab? 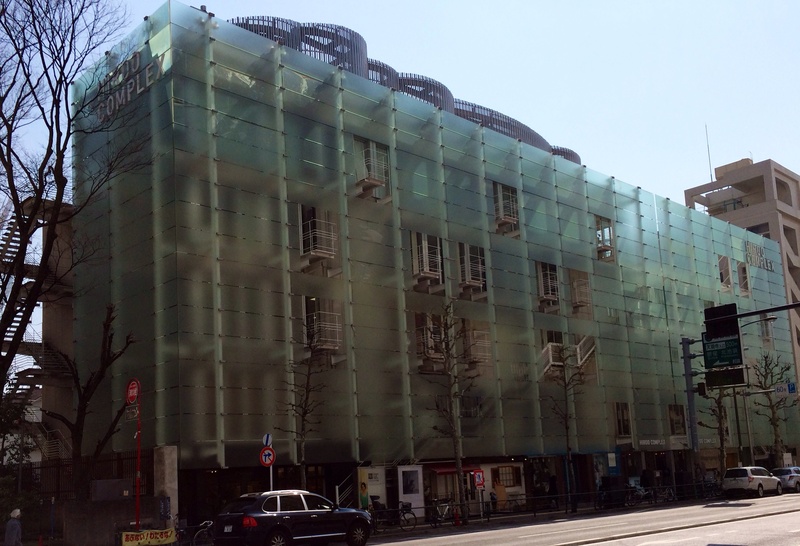 These two buildings are transformed into a “complex” with this frosted glass facade. I snapped this one in Akasaka. This one, by Omotesando, is very dated. It was probably über cool in that decade of brown-ness, the 70s (I guess). 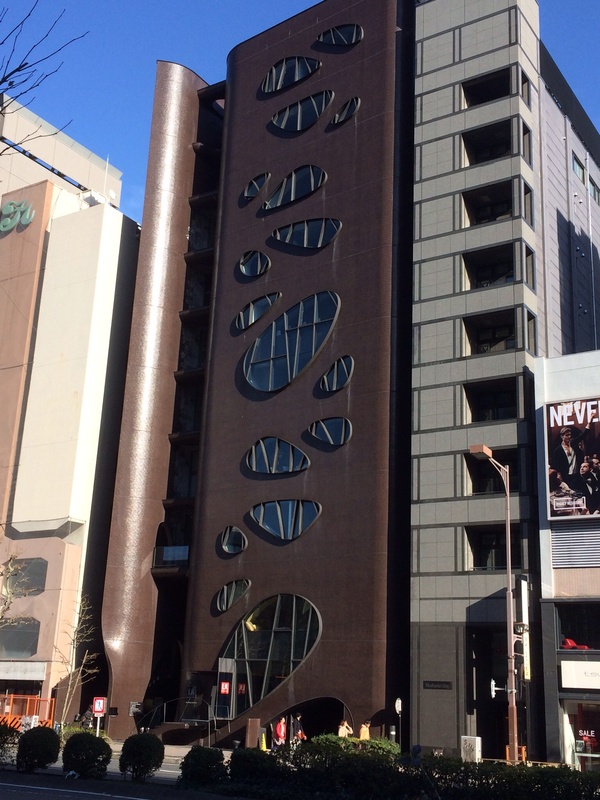 This entry was posted in Architecture, Japan, Pics and tagged Tokyo, Tokyo architecture, unusual buildings. Bookmark the permalink.